Networked control systems are systems in which distributed controllers, sensors, actuators and plants are connected via a shared communication network. The use of nondeterministic networks introduces two major issues: communication delays and packet dropouts. These problems cannot be avoided and they might lead to a degradation in performance, or, even worse, to instability of the system. Thus, it is important to take network effects directly into account. 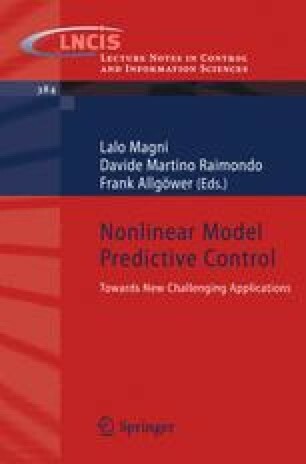 In this paper, nonlinear continuous time networked control systems are considered and a nonlinear model predictive controller that is able to compensate the network nondeterminism is outlined.